UMW is again accepting rummage for the spring sale (May 10 and 11). Please place donated items in Fellowship Hall near the double doors opposite the stage. Donations should not be left any other place in the church. We can use only clean, resalable items. Also, new helpers are more than welcome! 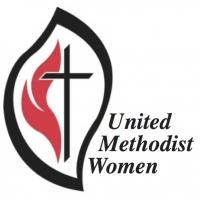 SAVE THE DATE United Methodist Women's Annual Retreat (girls 4th grade and up) March 9, 2019. More information to come!